McKenzie Towne School Parent Association: Important Dates and Upcoming Events!!!! So, I'm kind of freaking out a little that we are in the third week of November. Where did the year go? With the weather being so nice, and this little snow we've had now, I am quickly realizing I need to switch to Christmas and Holiday gear! The dead line to order from the MTSPA Poinsettia Fundraiser is this FRIDAY NOVEMBER 18th !!! There are three GREAT options to chose from . The GORGEOUS Christmas Basket makes an excellent hostess/mother in-law gift, or, if you are a minimalist, makes a wonderful decoration on a center kitchen island or coffee table!! The FRESH WREATH hung on your door is both welcoming and festive with hint of pine! So nice! And finally, nothing says Christmas and Holiday like a beautiful red, white or pink Poinsettia, arranged in pairs on the steps or a single on the mantle, so pretty! Even one poinsettia order helps provide valuable funds to your childs school and support their learning and playing! 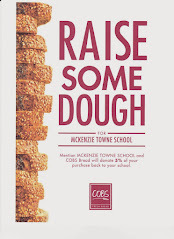 If you have any questions about ordering, contact Leanne at fundraising@mtsparents.com. We look forward to delivering you these beautiful and festive holiday flowers!! !